Jack Eugene Shumaker, 72, of North Vernon, passed away Saturday, November 17, 2018, at St. Vincent Jennings Hospital in North Vernon. Born July 8, 1946 in Jennings County, he was the son of Earl, Sr. and Esther Margaret Spaulding Shumaker. 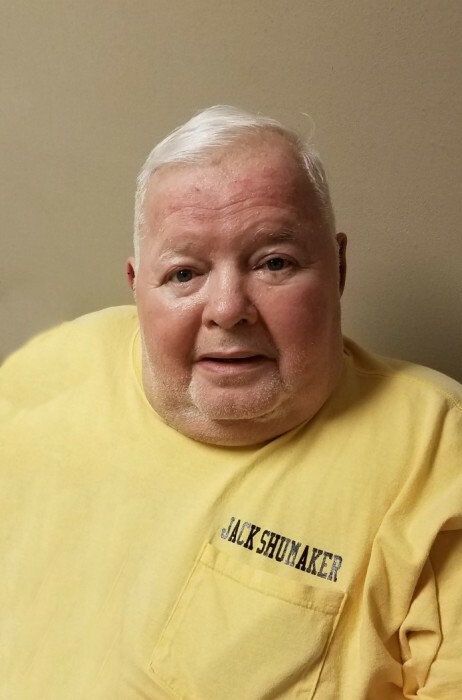 Jack worked in the kitchen at the former Muscatatuck Developmental Center in Butlerville for 19 ½ years and the former ITT Thompson Industries in North Vernon for 19 ½ years. He also had worked at the Jennings Hospital and was a former Park Theatre volunteer. Jack attended the Butlerville Mennonite Church and enjoyed arts and crafts and spending time with friends. Jack is survived by a brother, Earl Shumaker, Jr. of Ohio; and sisters Darlene Kay (Bill) Suhre of North Vernon and Rebecca Sue Biddinger of Westport. He was preceded in death by his parents. Funeral Service will be held at 1:00 PM on Wednesday, November 21, 2018 at the Dove-Sharp & Rudicel Funeral Home and Cremation Services in North Vernon with visitation from 11:00 AM until time of service. Burial will follow at the Vernon Cemetery. Memorials may be made through the funeral home to the American Diabetes Association.